Below is a library of round logos. They give you a way to improve your logo quest. So we have put them at your disposal. They might be having a few graphic elements, but they are all in line with the conditions of acceptable logotypes. Choose the creations you like the most. Now you can customize your logos that fit for your business cards and other stationery. Remember that your logos constitute the brand image of your company. If you are looking for a seamless round pattern, this free PSD indicates a fresh and Professional template. This is absolutely free for your use. Don’t go for the ones that complicate your exercise. The designer admitted that he designed it for MacGameStore – the only distributor of digital download games with more than one million Mac games sold. He even added that the goal was to create an icon that meets Apple’s philosophy. This tri round logo template can be your Visiting card template. The 3D logo costs $29. This 100% vector is fully editable. That means the logo is highly resizeable. If there is a shape that is regularly used in logo designing, it is round. A Volkswagen logo in a rounded shape. This is absolutely free for your use. Drop your design on this and use it as a button. This Logo Templates Bundle costs $8. This is a mother lode for graphic designers and other creatives. Add your assets to this design. The bundle includes one AI file and one EPS file. All fonts are free. This Branding Gentleway Logo Template helps you bring back the style of rounded logos. Creating a rounded logo gives you a softer and lesser stringent final shape, unlike square logos. Use this for your Business logo. Circle is a symbol of perfection and creativity. Because of this, many companies develop their logos in Rounded format. This LG Logo Template is free for your use. LG is a Korean company that has proven its mettle in electronics business all over the world. Round is a perfect geometric form that has neither beginning nor end. Also, circle is a perfect symbol of continuity, eternity, and infinity. Circle also evokes the idea of protection in your circle. Round is a simple shape that allows you for an easily identifiable logo design. This steel photorealistic view is something unusual. After all, design is all about having fun. How about this as your School logo? Circular Logos bring the idea of movement. 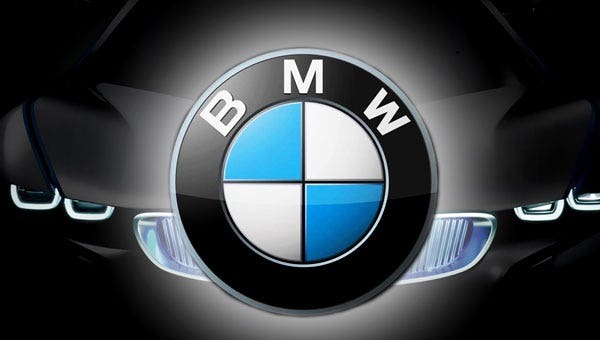 BMW, the power of wheels, thus integrated it’s logo to a rounded shape. This is absolutely free for your utility. It sizes 2048×1536 pixels. Are they visually communicative enough? Though the logos started off as a simple commercial tool, they later transmogrified into a great identity branding tool that creates emotions and desires. Throughout the middle ages, they evolved as a sign of the artisan’s identity and a symbol of quality and product guarantee.